Those of you who've attended past years' Embedded Vision Summits will undoubtedly agree that the events' keynotes are by themselves worth the price of admission. Spanning a diversity of practical computer vision topics, the keynotes are delivered by well-known industry experts and encompass a unique mix of technical breadth and depth, historical perspectives, pragmatic reality checks, visionary predictions, and entertaining and informative case studies and quips. If you haven't yet been fortunate to attend a Summit, check out the keynote videos in the Replay content archive pages for the May 2015, May 2014, October 2013, April 2013 and September 2012 events. Next, check out the abridged biographies and presentation abstracts that follow, for this year's upcoming Summit's keynoter speakers. And then, without further ado, submit your online registration application and reserve May 2-4 in your calendar. We'll see you in Santa Clara, California! 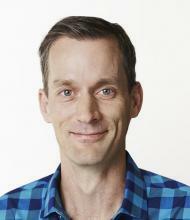 Jeff Dean joined Google in 1999 and is currently a Google Senior Fellow in Google's Research Group. Dean leads the Google Brain team, Google's deep learning research team in Mountain View, working on systems for speech recognition, computer vision, language understanding, and various predictive tasks. He received a PhD in computer science from the University of Washington in 1996. He is a Fellow of the ACM and the AAAS, a member of the U.S. National Academy of Engineering, and a recipient of the Mark Weiser Award and the ACM-Infosys Foundation Award in the Computing Sciences. In this talk, Jeff highlights some of ways that Google trains large models quickly on large datasets, and discusses different approaches for deploying machine learning models in environments ranging from large datacenters to mobile devices. He will then discuss ways in which Google has applied this work to a variety of problems in Google's products, usually in close collaboration with other teams. This talk describes joint work with many people at Google. "Using Vision to Enable Autonomous Land, Sea and Air Vehicles"
Larry Matthies is a senior research scientist at NASA Jet Propulsion Laboratory and is the supervisor of the Computer Vision Group in the Mobility and Robotic Systems section. He is also an adjunct professor in computer science at the University of Southern California. Larry has participated in the development of vision systems for the Mars Exploration Rover and Mars Pathfinder missions and numerous vision projects for land, sea and air vehicles. 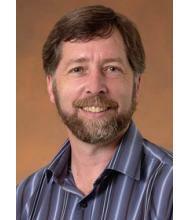 Larry earned a PhD in computer science at Carnegie Mellon University, a MMath in computer science at the University of Waterloo, and a BSc in computer science at the University of Regina. Vision enables autonomous vehicles to know precisely where they are, to know what is around them, and to plan safe paths. Using leading-edge case studies, Larry will explore the challenges of implementing robust vision on vehicles with limited power and weight budgets, and will illustrate how technology developed for space applications is findings its way into consumer products – and vice versa.